The No. 356 Can-Am Maverick X3, piloted by Reinaldo Varela and co-pilot Gustavo Gugelmin won the 2018 Dakar Rally today in South America. 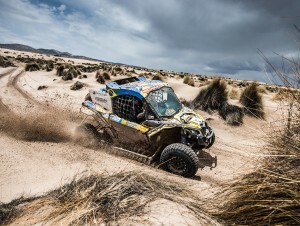 Team South Racing Can-Am drivers Reinaldo Varela and Gustavo Gugelmin won the 2018 Dakar Rally in South America in the SxS category with the Can-Am Maverick X3 vehicle in its inaugural entry. 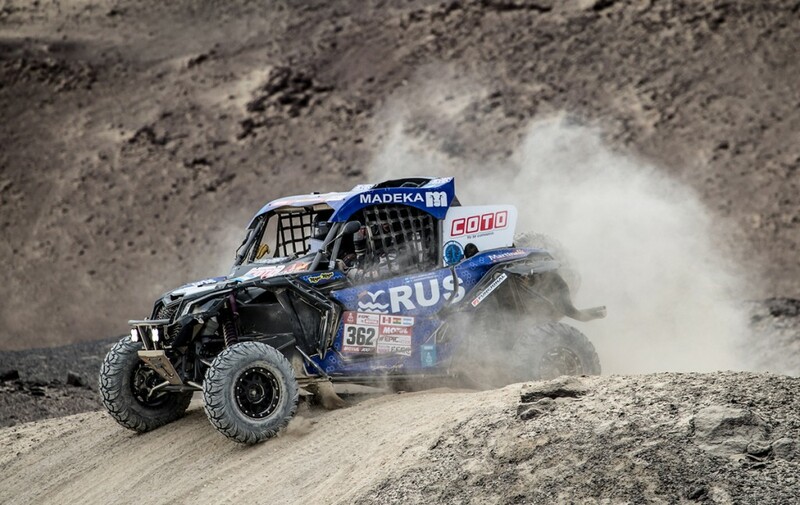 The tandem of Leonel Larrauri and Fernando Imperatrice drove their South Racing Can-Am Maverick X3 to a stage 14 victory at the 2018 Dakar Rally. 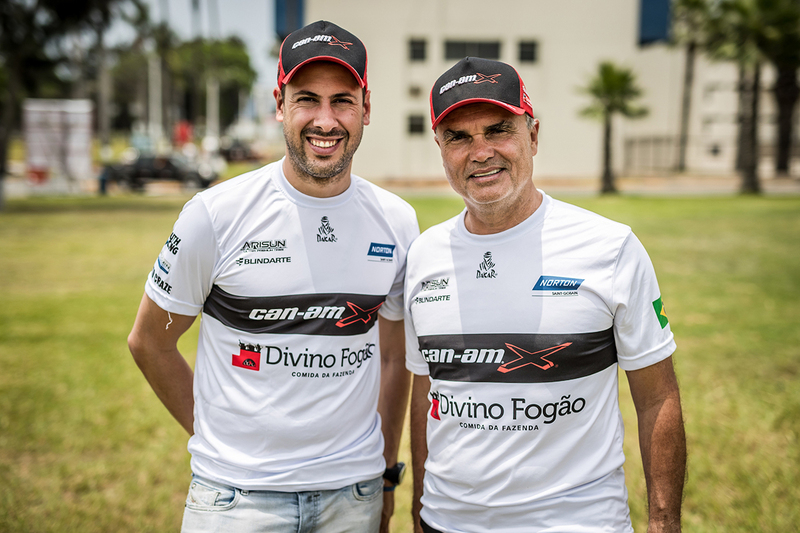 From left) Gustavo Gugelmin and, driver of record, Reinaldo Varela won the SxS category in their South Racing Can-Am Maverick X3 at the 2018 Dakar Rally in South America.